Karni is a 14-year-old student studying at CHW Nahalal Youth Village. One of Karni’s passions in life is horseback riding. In fact, since she was a little girl, Karni has been riding horses; for her, it is as natural as walking! 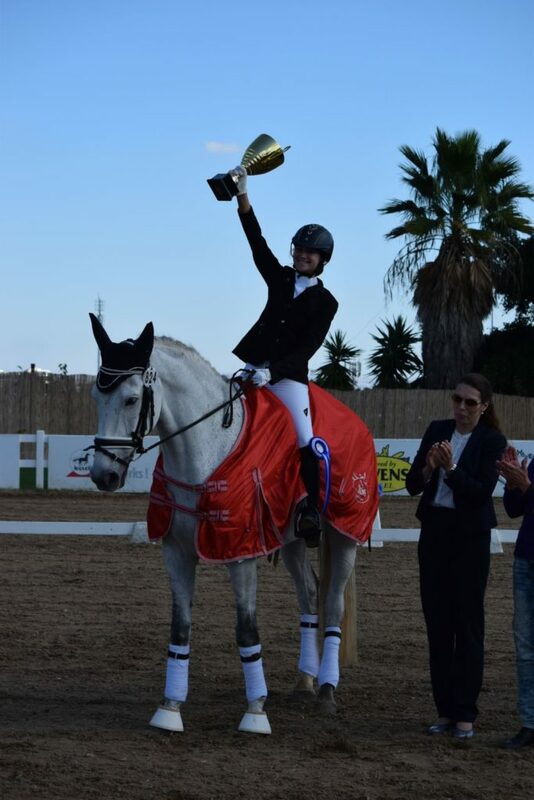 Recently, Karni took part in a national horseback riding competition in Israel. The winner of the competition not only received a place in the National Cup Finals, but also had the opportunity compete in an international competition. Karni won the nationals and went on to represent Israel in the International Competition where she won first place! CHW Nahalal is the perfect fit for Karni as it has horses on campus and every day, when Karni finishes school, she is the first to the stables riding horses. Congratulations to Karni and CHW Nahalal! This entry was posted in Child, Weekly Story and tagged children, CHW Nahalal Youth Village by Jennifer. Bookmark the permalink.